It had been several months since our schedule, the weather, and the moon phase all cooperated to give us a chance to get out to our favorite astronomy spot. 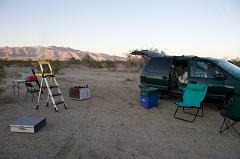 Jane and I, joined by Dave Hasenauer, ventured out to the Colorado Desert with promises of a chilly evening but mostly clear skies. 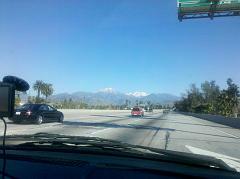 The snow-capped peaks of San Jacinto and Gorgonio mountains were calling to us from almost our first moment on the road. During our twilight setup, some fellows from Arcadia stopped to check out the equipment. Dave was all set up and ready to show Jupiter if we could find it. While hunting in the twilight glow, we all exclaimed as a flock of probably 100 geese were approaching from the west. The geese turned out to be our guide to Jupiter! They flew right in front of the planet, and gave our eyes a convenient focus target. We all enjoyed the view through Dave’s big dobsonian. Jane had plans to attack the faint periodic comet 103P/Hartley, famous for its huge outburst of a year ago. Jane and Dave both claim to have found the glow of the incredibly diffuse comet. I tried for an image of it myself, but was convinced I didn’t have anything. 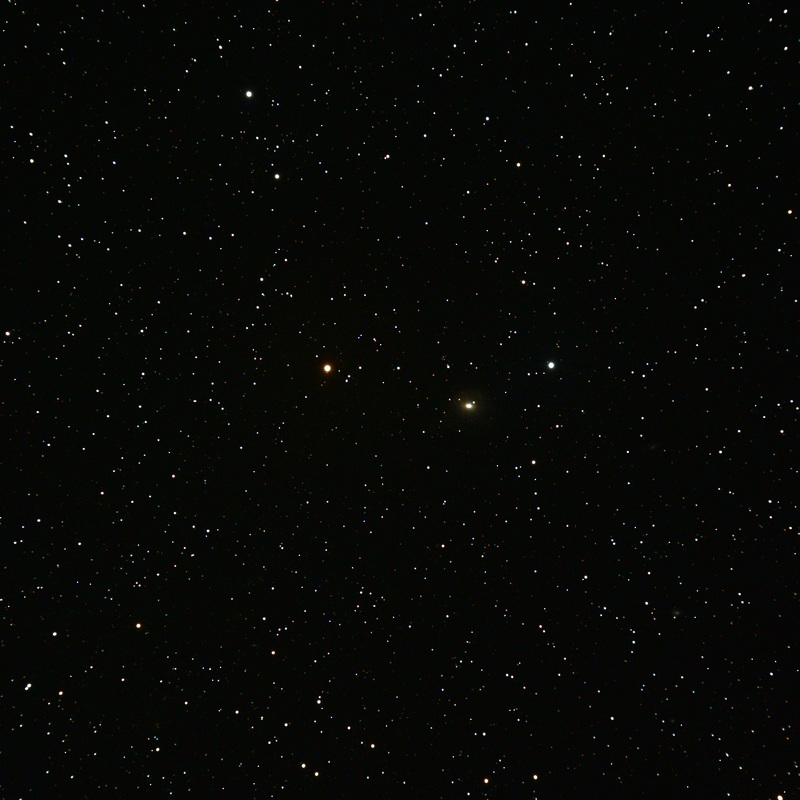 This is my shot, with the comet buried deep in the winter Milky Way in Monoceros. Can you find the comet? Can you find the comet? Here’s a full-resolution crop of the center of that field. Look right in the middle, and try to ignore that my focus wasn’t especially good for this picture! Look for the faint cotton ball in the center. 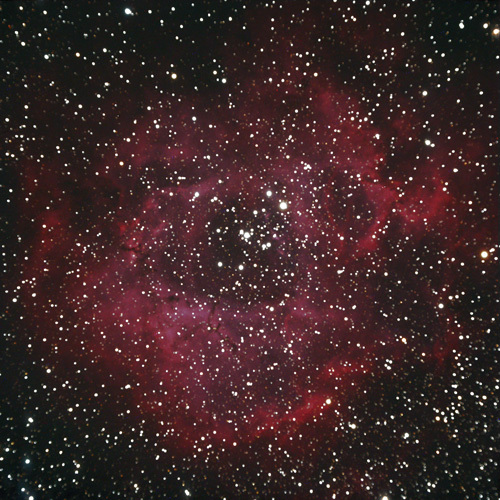 I was delighted that most of my hard-won imaging skills hadn’t been completely lost during the time away from it. I didn’t get a perfect focus for my first couple of shots of the evening, the comet Hartley photo above being one. 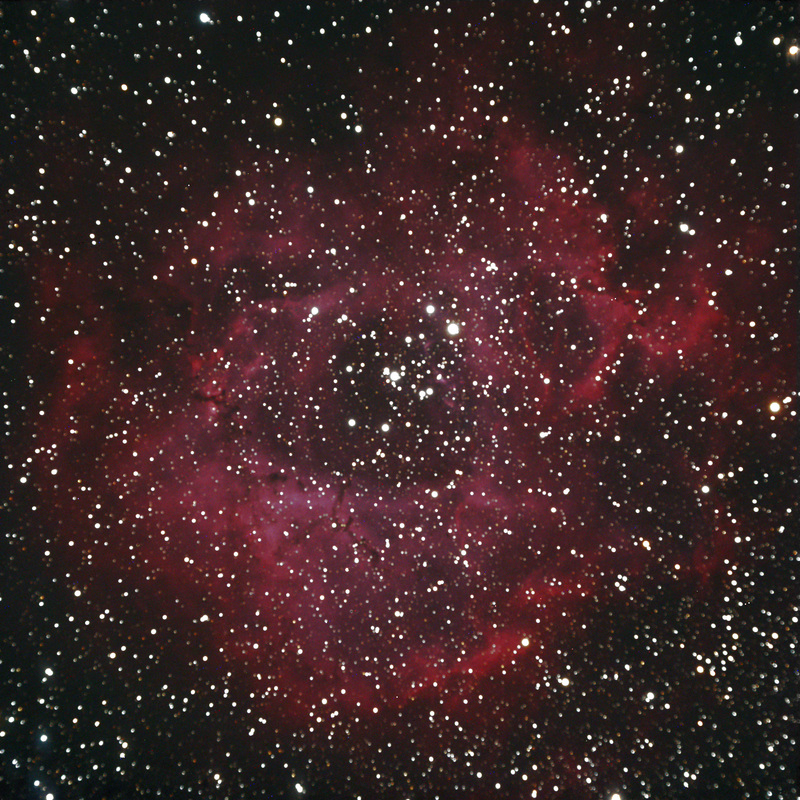 Even with a less-than-perfect focus, this one of the Rosette Nebula in Monoceros turned out pretty well. This is only 30 minutes of exposure, and it’s pretty clear this object would benefit from a couple hours of exposure time. The Cone nebula is another one that could benefit from a lot more exposure time, but at least by now I’d corrected the focus. I love this beautiful field, with a vast mix of Milky Way stars, emission, reflection, and dark nebulae. 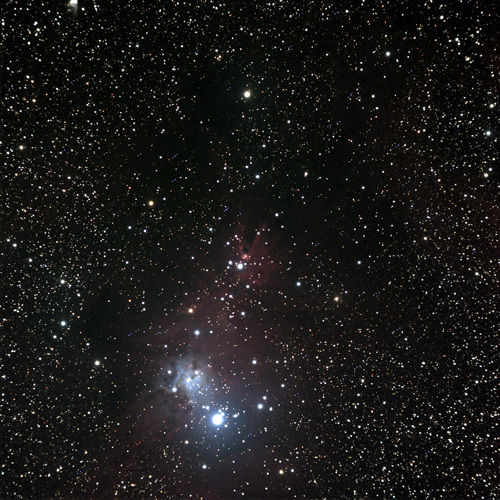 The “cone” that gives the nebula its name is near the center of the image. This is also two 15-minute exposures stacked. 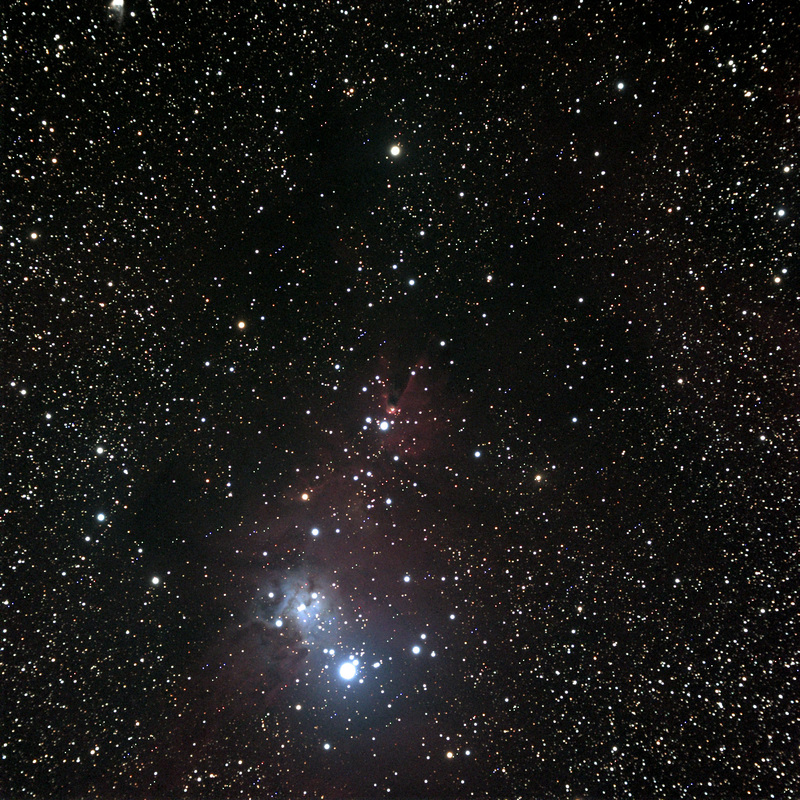 The Cone nebula in Monoceros, click for the full resolution image. A bright supernova was discovered just a couple weeks ago in small distant galaxy NGC 2655 in Camelopardalis, very high in the northern sky. Jane and Dave both enjoyed hunting it down, and the nova is bright and easy, itself as bright or brighter than the rest of the galaxy. 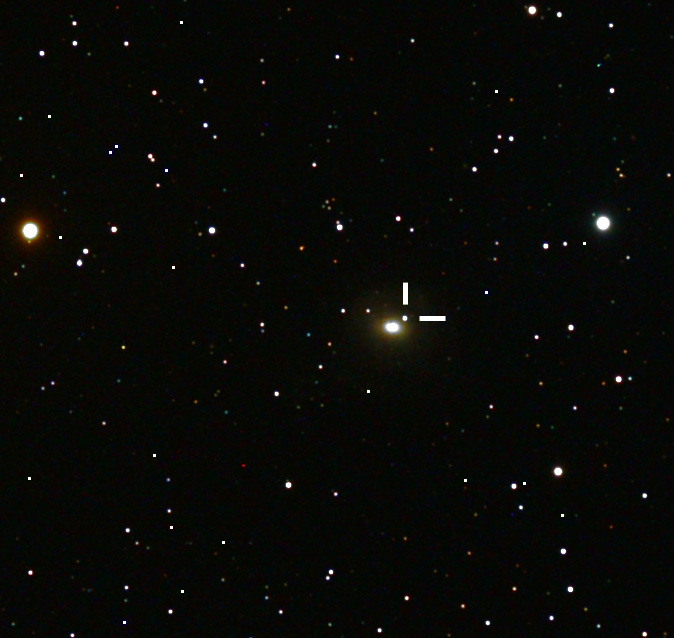 Of course I had to get an image, here’s my crop of the field with the supernova marked. 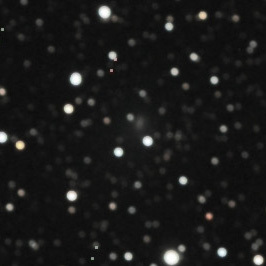 Supernova in NGC 2655, click to see the whole wide field image. 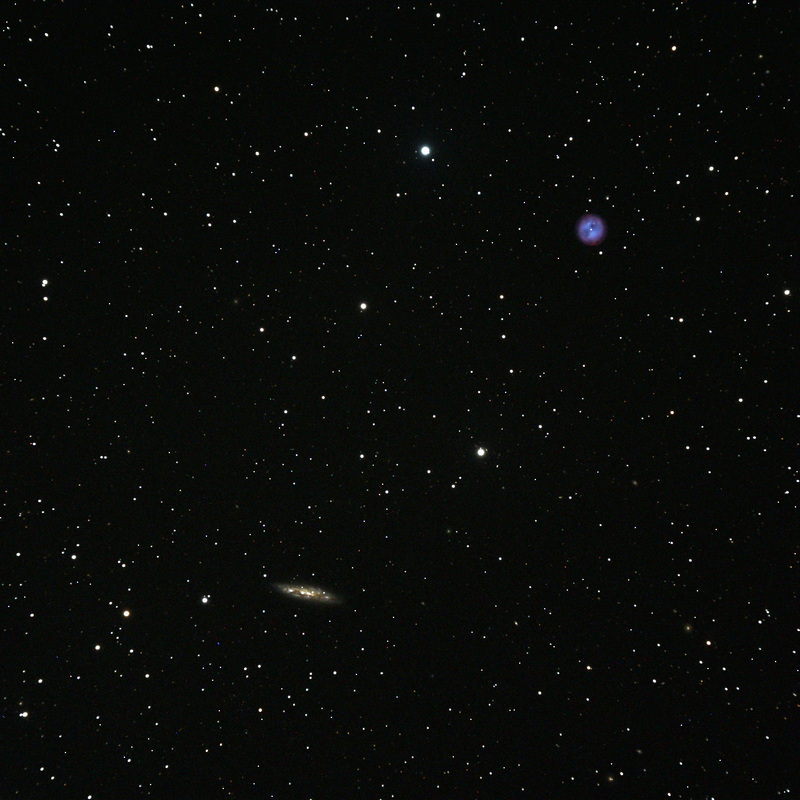 Finally Jane suggested this great pairing, “The Owl and the Cigar,” she called it, M97 the Owl Nebula paired with galaxy M108 in Ursa Major. I only got one 15-minute exposure of this field, as the clouds were starting to move in, but I loved the colors in the Owl nebula, and the detail in M108. 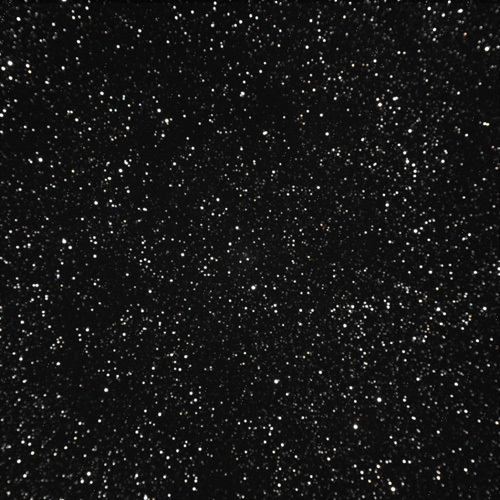 It’s fun to contemplate the difference in their distances, with the Owl being the gasping exhalation of a single star in our galaxy, and M108 being billions of stars in a very distant galaxy. The first half of the night was interrupted several times by loud flights of two or three helicopters passing nearby. We speculate that they may have been in service to the border patrol, using infrared or intensified imaging. Our little site must have been interesting to see from their vantage point. By the time the sky show was interrupted by clouds, we all were tired and cold and felt like we’d had a full evening. Amazingly it was only 11:00 p.m.! We all tucked ourselves into warm sleeping bags to catch a few hours of sleep. Meanwhile the sky cleared again for spectacular pre-dawn show of the moon and Venus. 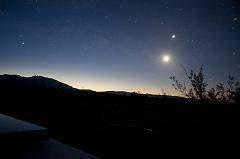 We all got up to enjoy the old crescent moon, Saturn, and watch for Mercury to rise over Chuckwalla mountain. With the local star finally clearing the horizon, we packed and headed off to breakfast at Chiriaco Summit. By the time Jane and I arrived back home in Monrovia, it was raining! P.S. : In the photo album linked here, I included some detail photos of my astrophotography equipment, with captions, for the benefit of some friends who’ve wondered how these things happen. You took all these exposures IN ONE NIGHT? AWESOME WORK! I especially like the Owl & the Cigar.